Nope, this ain't any suspense movie. However, history buffs would recognize who Padre Damaso is. He is one of the central characters in Jose Rizal's novel Noli Me Tangere. Restaurante Pia Y Damaso owner Chef Bambi Sy Gobio told us that Jose Rizal actually did a pretty good job of describing the food in his novel when she read it again. If Rizal is someone who takes pride in the food his characters ate then I have a new found respect for him. For drinks, we had the Tubig ni Maria Clara (P300). I admit we did not like it at first but it got better as time passed by. I don't know how that happened as it is probably due to the ingredients that made it such a healthy drink. 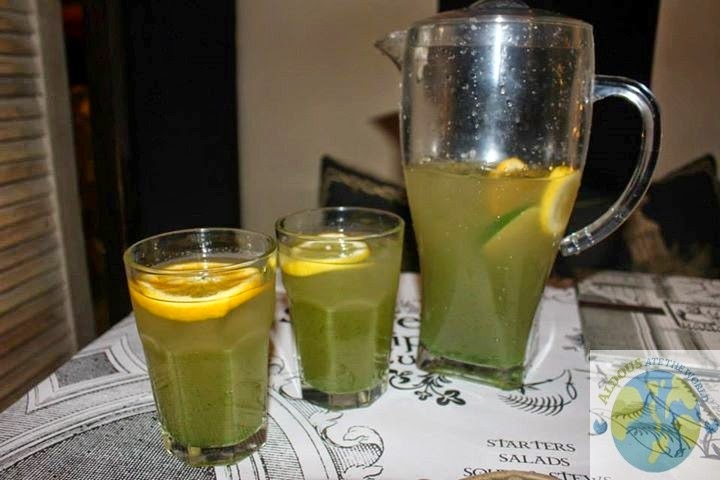 It had fresh cucumber juice, ginger and citrus water. 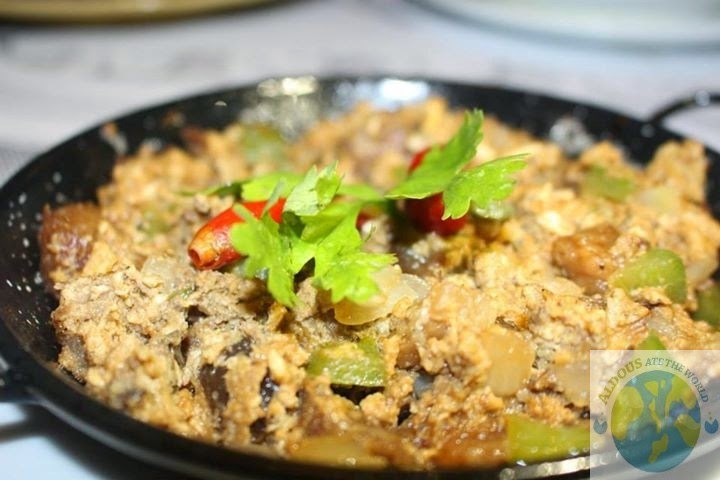 Sisig ni Kabesang Tales (P300) is Chef Bambi's take on the classic Kapampangan dish. It manages to impress me on so many levels that I could not stop raving about it. 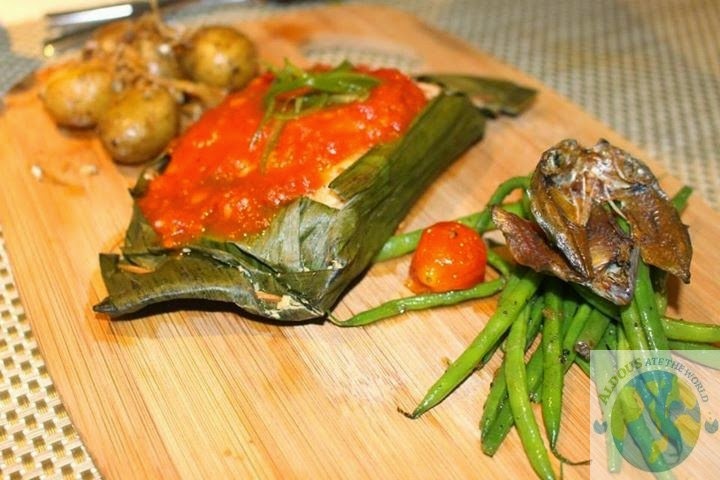 Smoked Tapang Usa (P450) is actually the last dish Sisa prepared for Crispin and Basilio. Unfortunately, they never got to taste this dish because they did not come home and her husband ended up eating it. 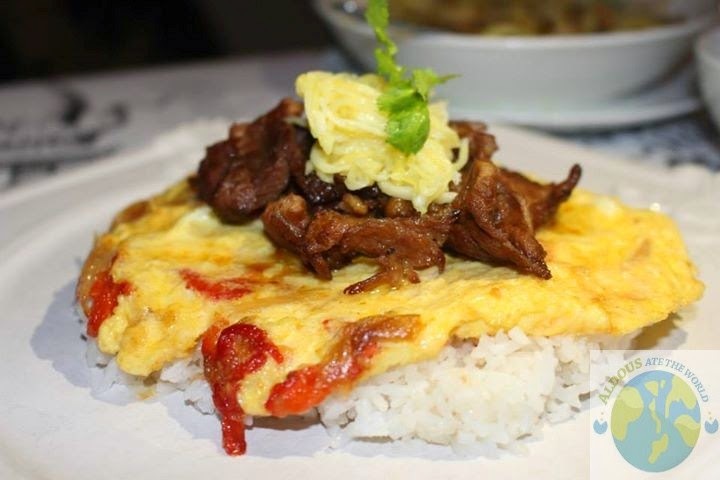 They sure missed out because this is not your ordinary tapsilog as it has salted deer meat from Nueva Ecija along with green mango pickles, roasted pepper omelette on garlic rice. 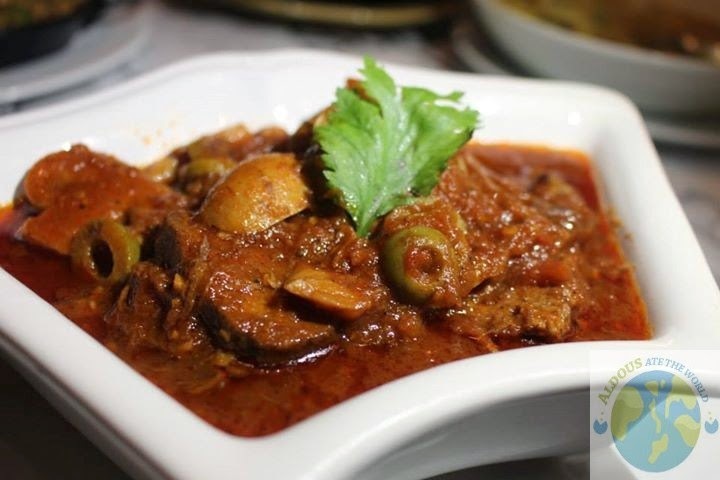 I love Lengua so I had to try their Lengua Sevillana with Olive & Mushrooms (P450). I honestly thought this one had more mushrooms than the lengua meat itself unless I ate all the lengua meat so fast that I hardly noticed them. 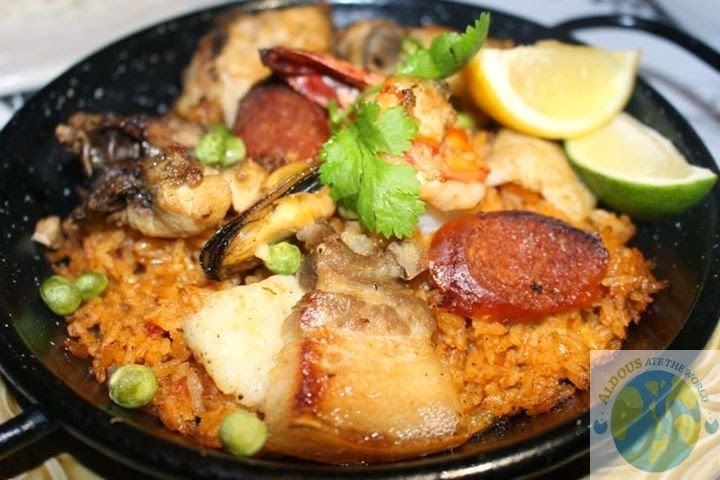 The Paella Valenciana (P450) did not go heavy on the rice which is a good decision on the part of Chef Bambi Sy Gobio. There was a lot of meat here including fish, prawns, mussels, pork and chicken. The bottom part is also crunchy which is something we usually look for when the paella is about to run out. 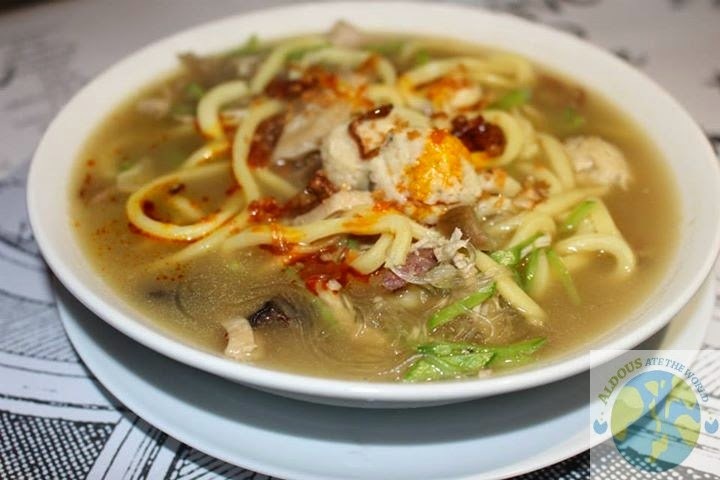 The Langlang Soup (P325) is perfect for the current rainy season we are experiencing. It does not go heavy on what is in it either as this is enough to make anybody full. It chicken, ham, shitake, mushrooms, pancit molo, lomi and sotanghon noodles. It is a little hot so be prepared for that. I was anticipating the arrival of the Chicken Pastel (P290) and I was not disappointed one bit. The flaky crisco crust is very crunchy and it had a nice mix of chicken breast, chorizo, bacon, potatoes, carrots and peas inside. It was no surprise how it was the first dish that was taken out. I love seafood because when I see them, I eat it. That is exactly what happened with the Camarron Cocido (P380). 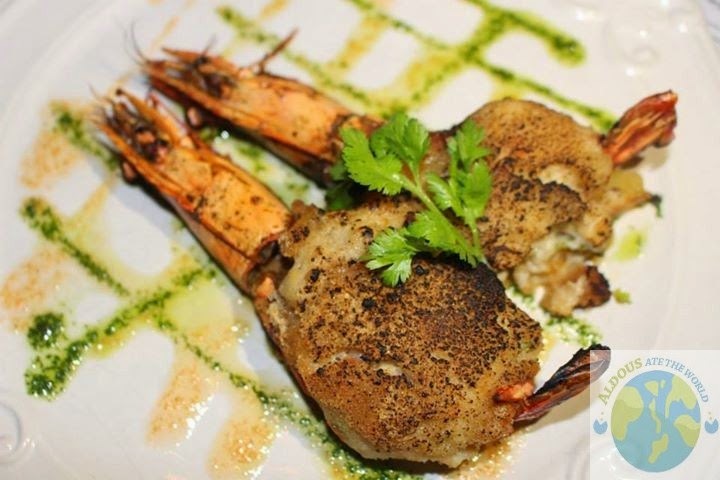 This dish is loaded with fresh seafood as it is seared prawns and seafood thermidor with scallop fish mussels, squid, potato and gratineed cheese sourdough crumbs. 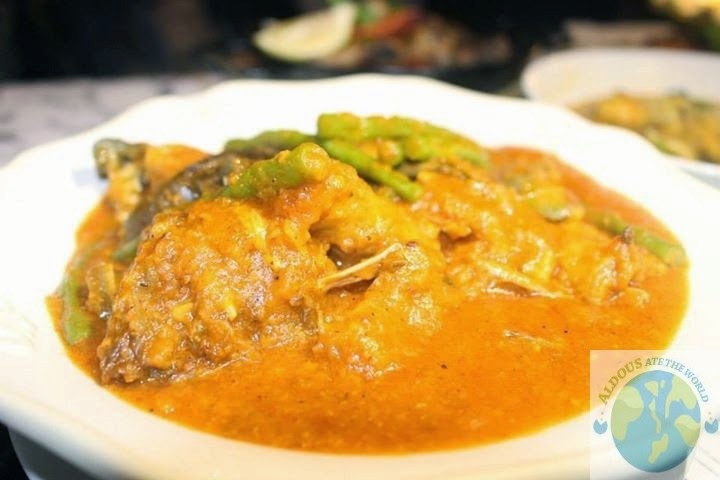 Kapitan Tiago's Kare-Kare (P600) has that unique sauce you would always look for in a Kare-Kare. I preferred to mix the sauce with the paella and this dish is good enough for 2 to 3 people to feast on. Better order in advance if you want a piece of the Ode to Heiderberg (P1500). It is going to take at least 40 minutes to prepare this magnificent dish. 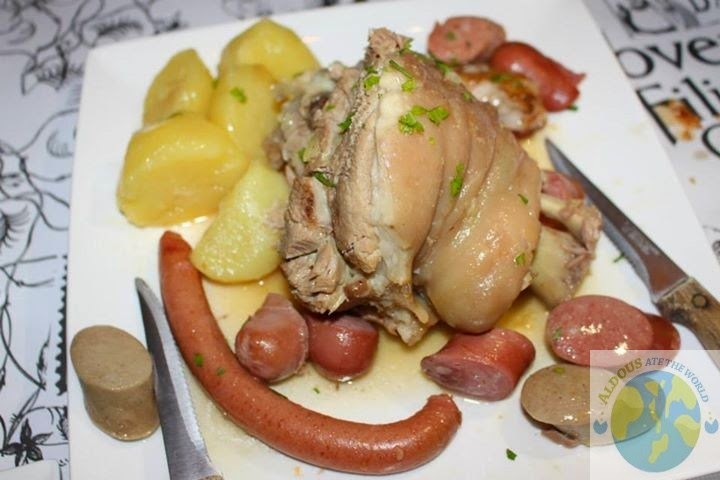 It is a classic German dish of smoked pork hock served along with potatoes, bacon and four kinds of sausage. It is certainly a meat lover's dream come true. 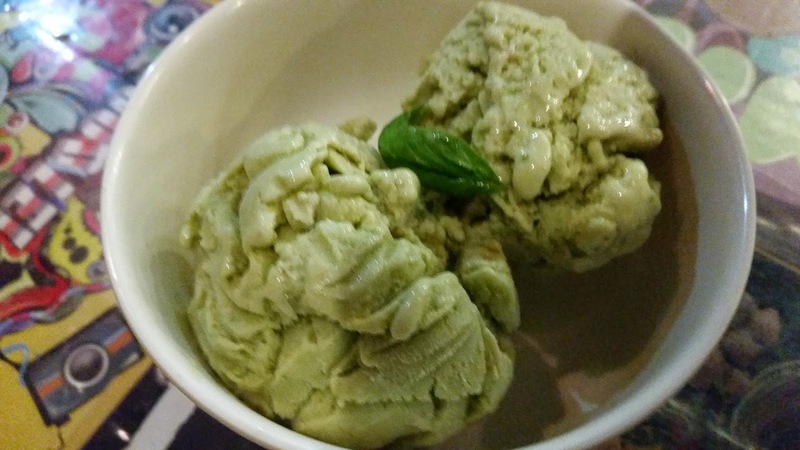 Sisa's Dementia (P240) is so good that I would not be surprised if Sisa came to life and ate this right in front of me. My girlfriend actually told me it was the best cake she has ever tasted so that says a lot about this cake loaded with chocolate goodness. I was actually in a hurry to get the main course done because I could not wait to get my hands on the Tsokolate Eh & Toasted Ensaimada Quezo de Bola (P250). 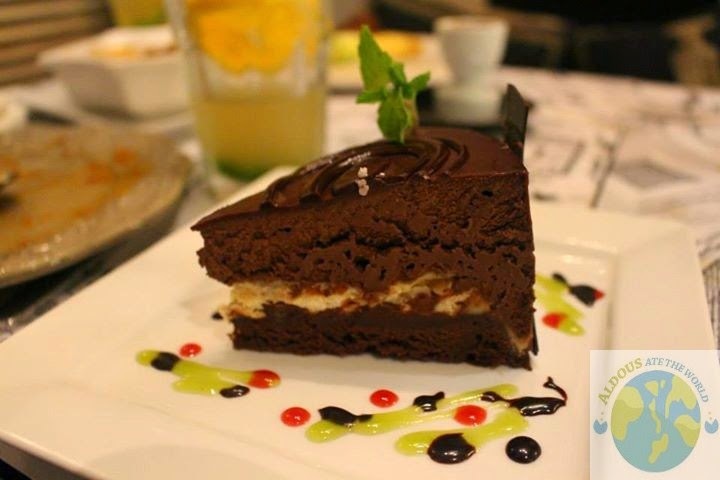 The chocolate sauce is one for the ages as it is made in Davao tablea caco along with Malagos Goat's milk. 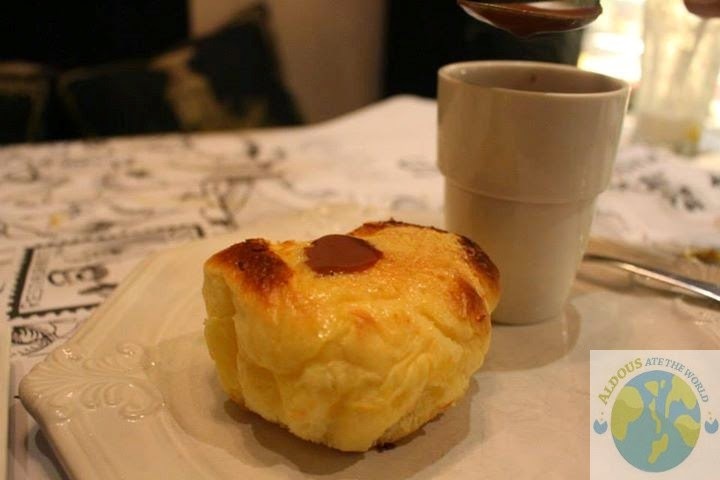 The toasted Ensaymada makes this dessert worth every penny. 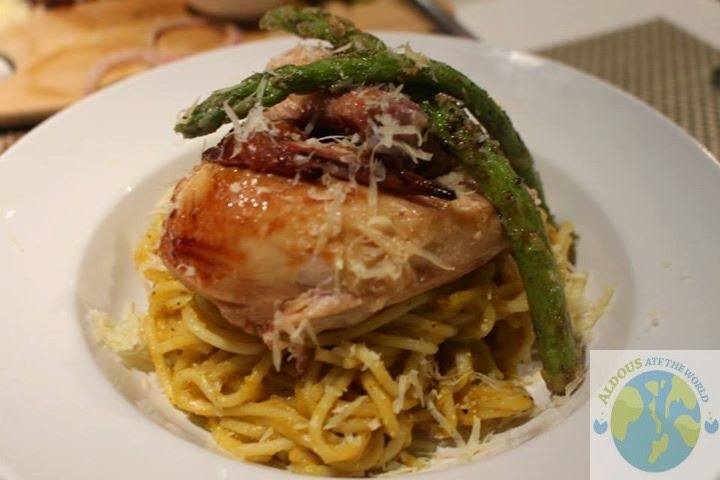 I was really impressed with how Chef Bambi was able to base her food on the character of Padre Damaso. We will eventually forget how demented the character of Damaso is because of how good the food at Restaurante Pia Y Damaso is. 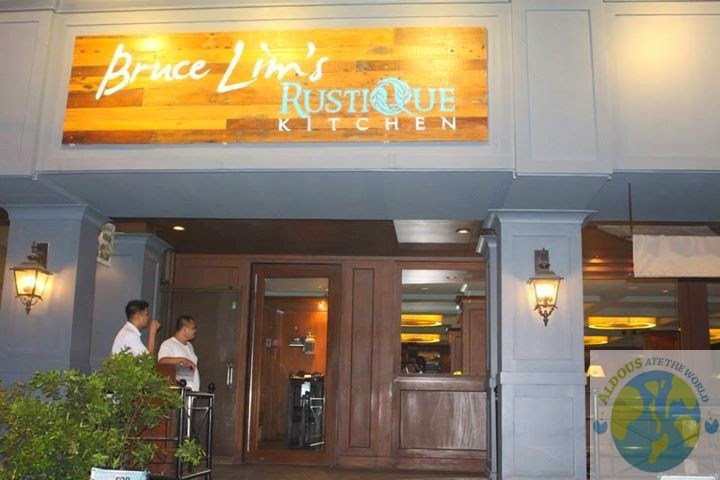 I have heard so many good things about the food of Chef Bruce Lim so I was so excited to have a taste of Rustique Kitchen. The fact that this restaurant is co-owned by Gretchen Barreto and Tony Boy Cohuangco only added more reason to give this place a try. 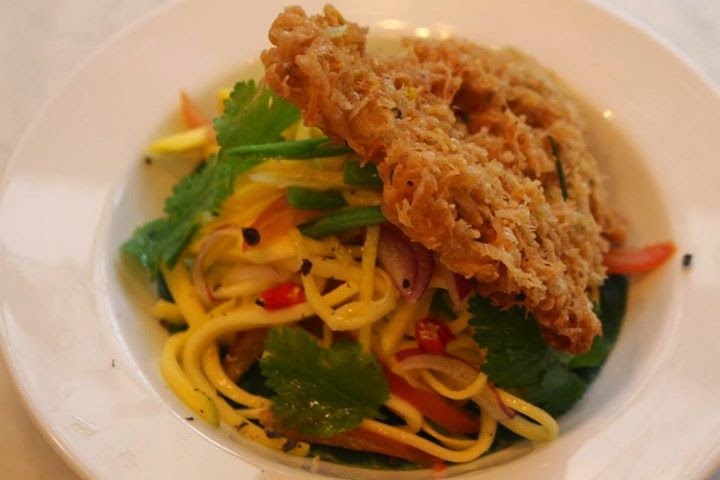 Their Pata Fritters with Tripe Salad is a great way to start off the meal. 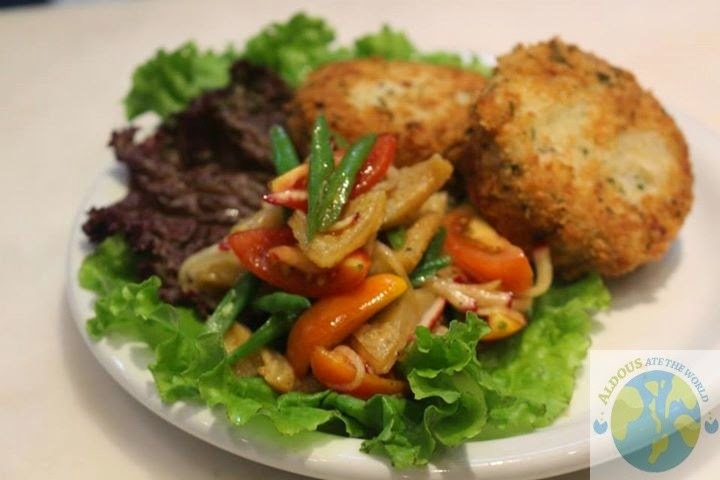 There is nothing better than starting off dinner with a lot of vegetables. 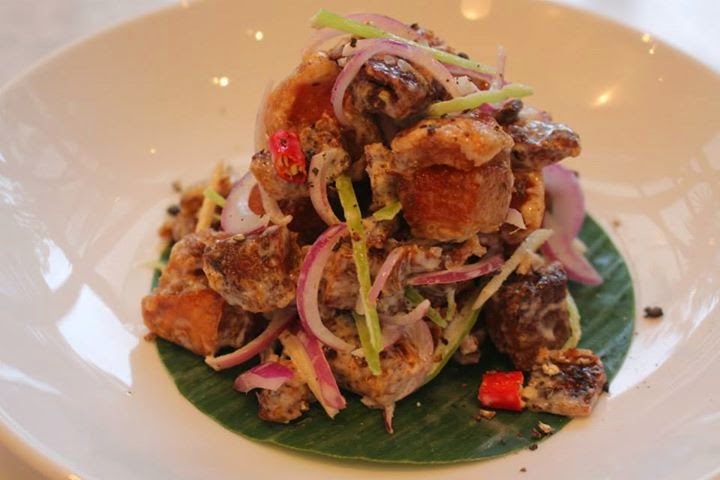 The Lapu-Lapu Ceviche (P350) is one very creative dish. 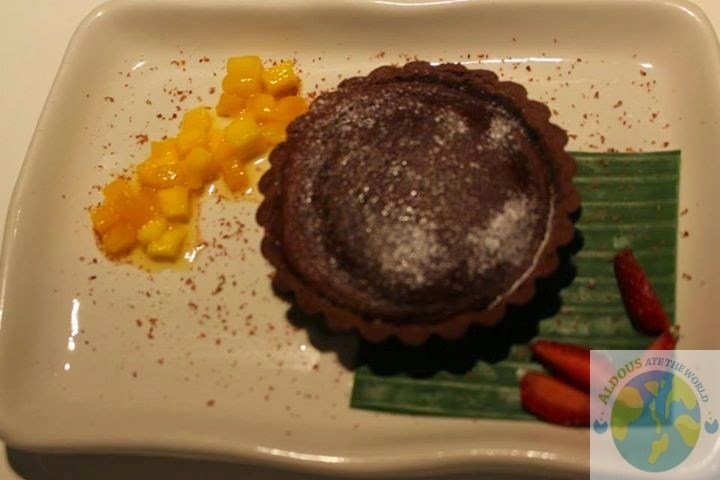 It is first time I actually liked Lapu-Lapu so compliments to the chef. 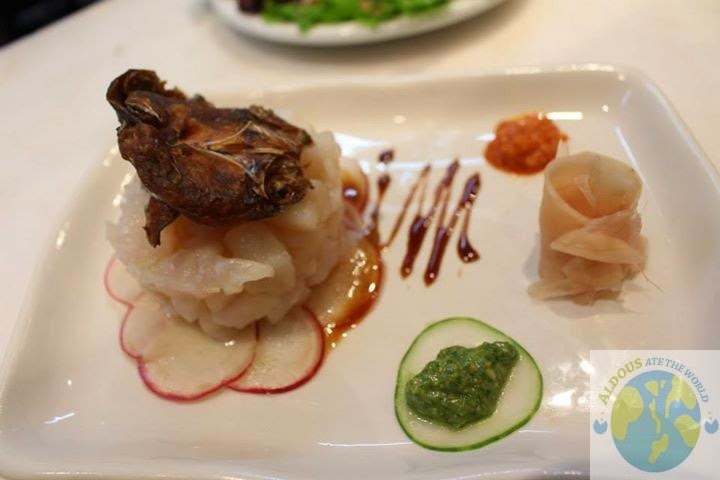 The Fish Market (P550) gets 10 points for presentation for me. However, I don't like seafood that much so I did not get to try this. I saw the other bloggers loved it though. 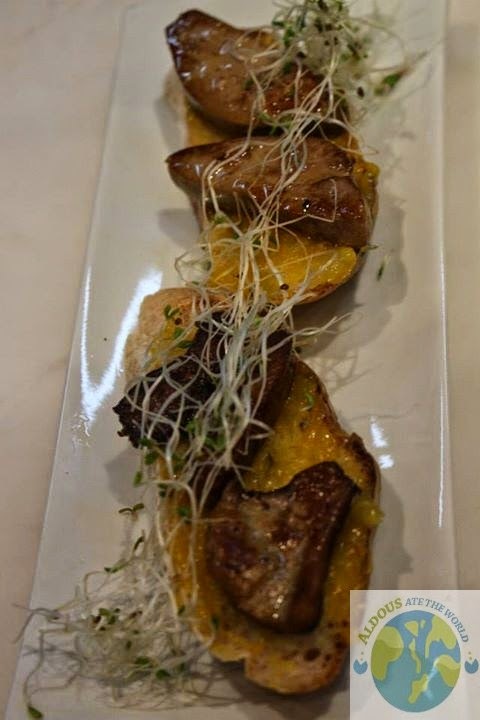 Bruschetta with Foie Gras and Jam (P450) is one dish that would go great with their signature mocktails. 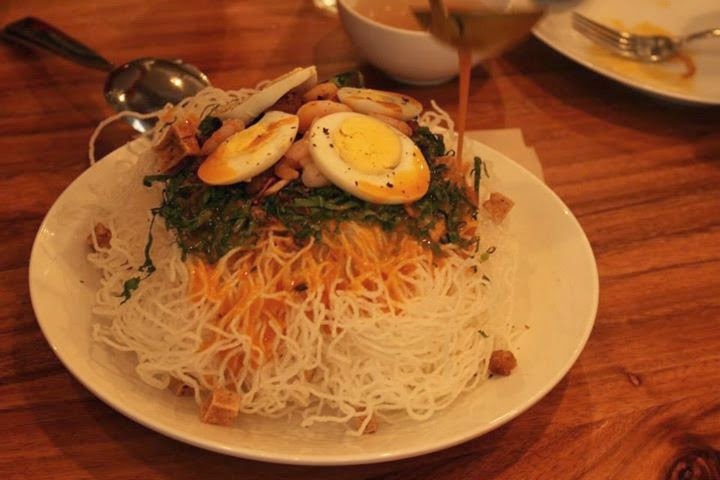 This dish is better ordered while having some long stories with friends. I got no complains about the Country Pumpkin Pasta (P385). I love pumpkin and the pumpkin sauce on top of the quarter hen makes it have that unique taste that you will crave for a very long time. 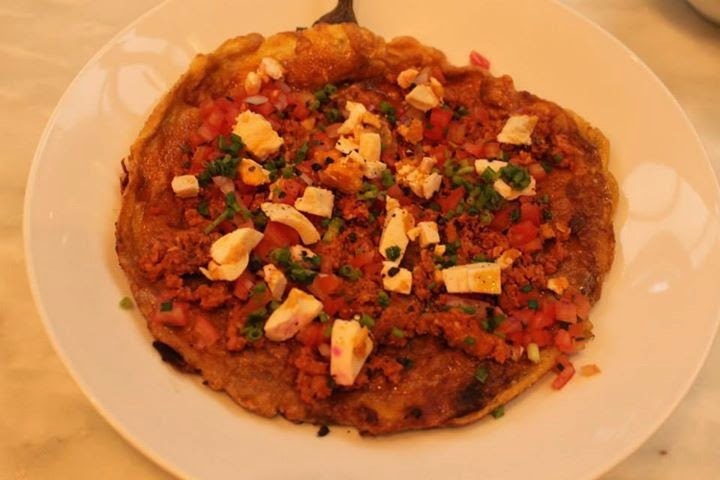 The LDB and Duxelle (P435) is a dish made in heaven for me. Lengua is my favorite dish and to see it in this version of having creamy crust, you knew I would have a priceless reaction on my face. It was too bad I did not get to taste it that much since the other bloggers loved it too but I will surely come back for it. 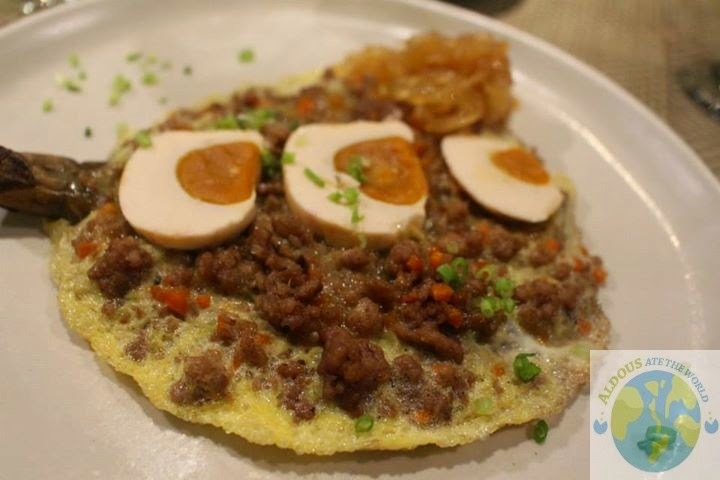 Chef Bruce Lim's version of Tortang Talong (P150) has some salted eggs on top. 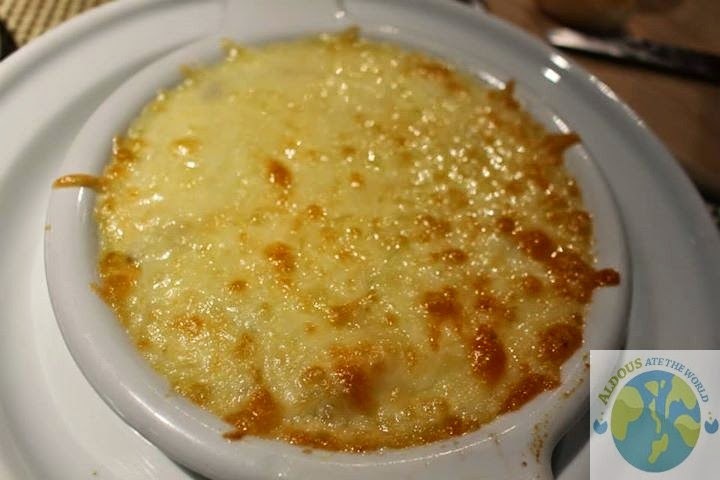 It is certainly a dish that is best combined with their main courses. 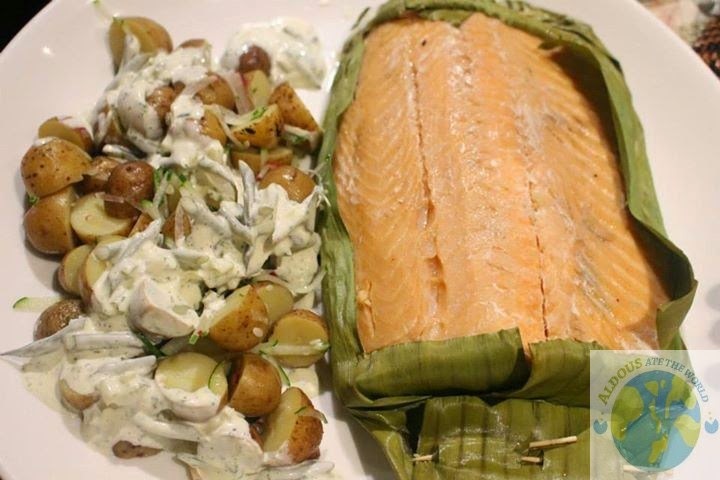 Salmon lovers would love the baked Salmon slab. This dish is not yet on the menu but I really love the fact that Chef Bruce Lim is preparing some dishes that are good for the entire family. 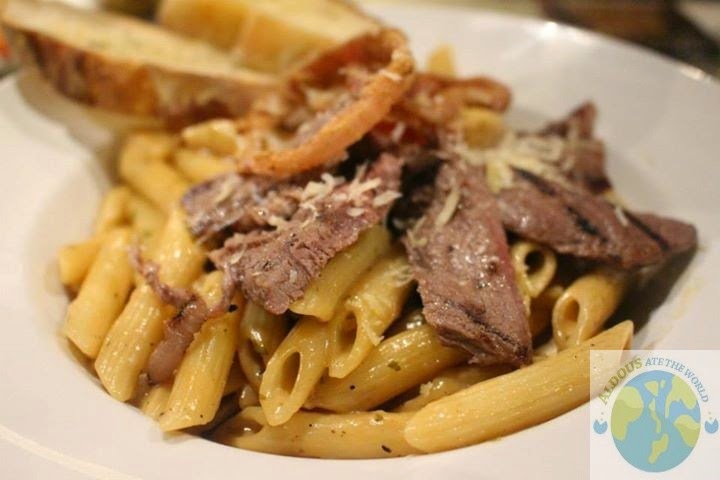 It does not get any tastier than the Beef Steak Pasta (P390). The cheese on top of the beef strips just made it even better. The meat is also very tender. 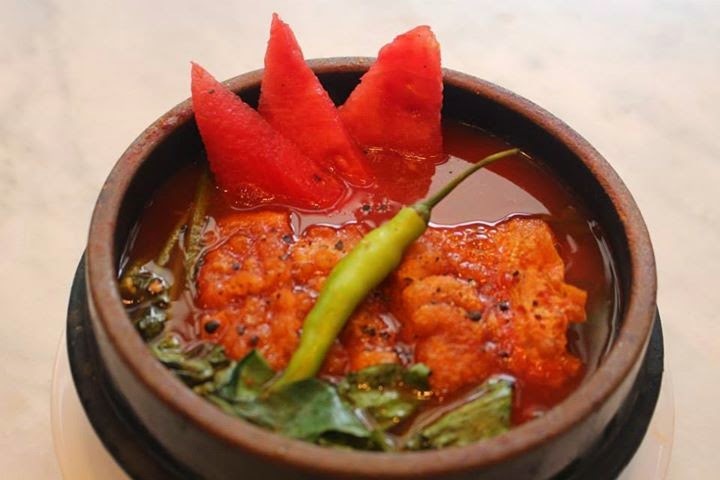 This dish is one you should order when you come here. 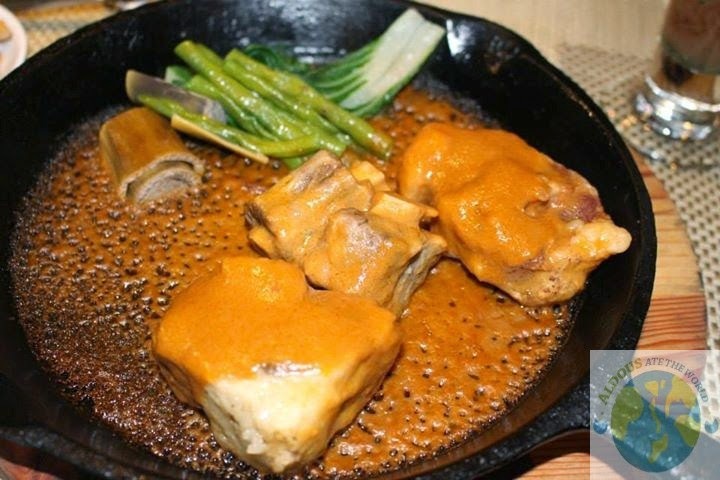 The best dish of the night was by far the Sizzling Ox Tail Kare-kare (P550). 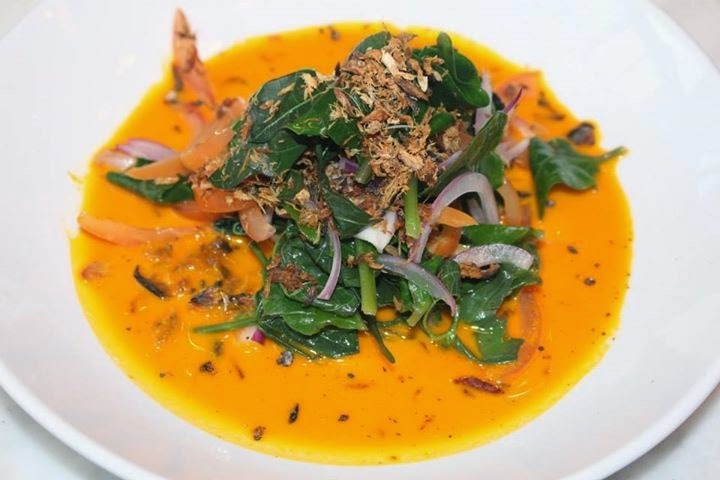 I have tasted a lot of Kare-Kare dishes over the years and Chef Bruce Lim's version is the best one by a huge margin. I would certainly come back here for this dish. 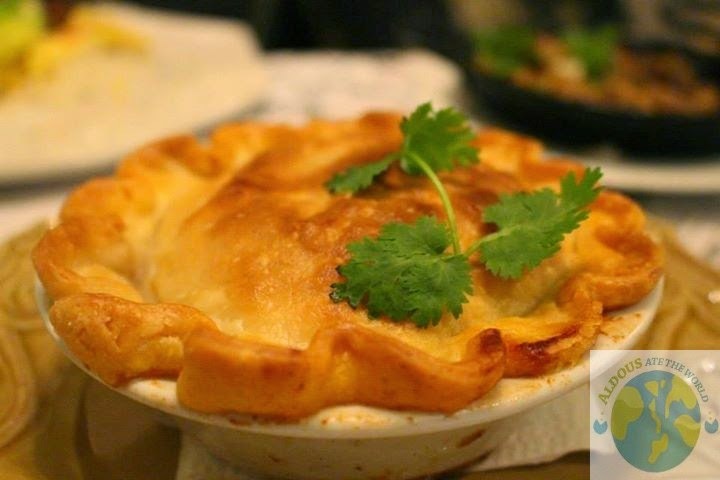 Chef Bruce Lim's Signature Buko Pie (P150) is a must try. I completely forgot about everything else after taking a taste out of this one. 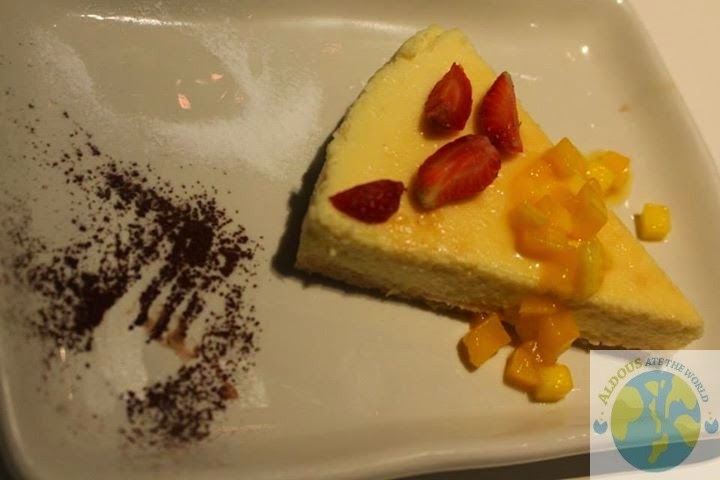 After the Queso Puti Cheesecake (P250) and Warm Chocolate Tart (P250), I must say that this was a fulfilling dining experience in more ways than one. There is no doubt I will contact them for a reservation because I want to celebrate a special occasion here. See you soon, Chef Bruce Lim. Dumayo ako ng Ayala Triangle, Makati kasama ang aking mga kapwang blogger para malasahan ang kakaibang pagkain sa Simple Lang. Sobrang hanga talaga ako kay Chef Frederick Arellano at naisip nyang gawin ang mga putahe na ito tulad ng pampagana na Crispy Ukoy and Green Mango Salad (P140). Napansin ko lang kay chef ay medyo torpe siya pero feel ko masasanay din yan kasi padami ng padami ang pag guest niya sa mga TV show. Praktis konti sa pagngiti, parekoy. Napansin ko na medyo tomguts na ang mga kasama ko dahil napicturan ko ang Tinapa't Tops (P185) at paglingon ko pagkatapos ng ilang minuto ay sauce na lang ang natira. Hindi naman ako nagrereklamo kasi alam kong nasarapan sila. Nakuha ko ang pagbuhos ng sauce ng Crispy Palabok (P275) sa puting noodles nya. Malaki ang putahe na ito at pang dalawa o kaya tatlong tao pero kaya ko din tong ubusin sa sobrang takaw ko. Sa unang tingin pa lang, sabi ko sa sarili ko na hindi ito nakakaumay at tama ako. Sabi na nga ba eh! Nagustohan ko ang pagiging malutong ng sisig sa Crispy "Chop Chop" Pork Belly Dinakdakan (P195). Siguradong babalik balikan mo ang sarap nito. Akala mo naduduling ka noh? Hinde ka nagkakamali at nakakakita ka ng Sinigang na Crispy Bagnet sa Watermelon (P395). Sa unang pagkadineg mo sa ulam na ito ay hindi mo akalain na magiging ok ang lasa pero sa unang pagkatikim mo ay mapapahalakhak ka sa sarap. Ang Mixed BBQ Plate (P595) ay may baboy, manok at pusit. 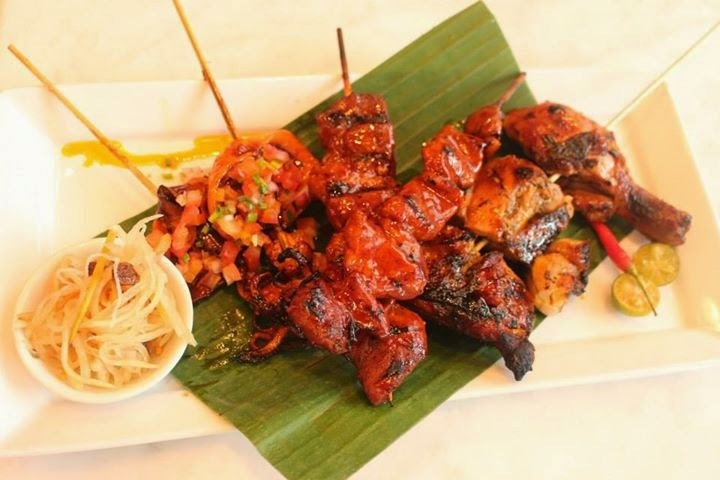 Pag natikman mo ito ay maalala mo ang mga nilulutong BBQ ni Manong sa kalye pero syempre mas masarap ang luto ni Chef Fred. Malayo ang agwat. 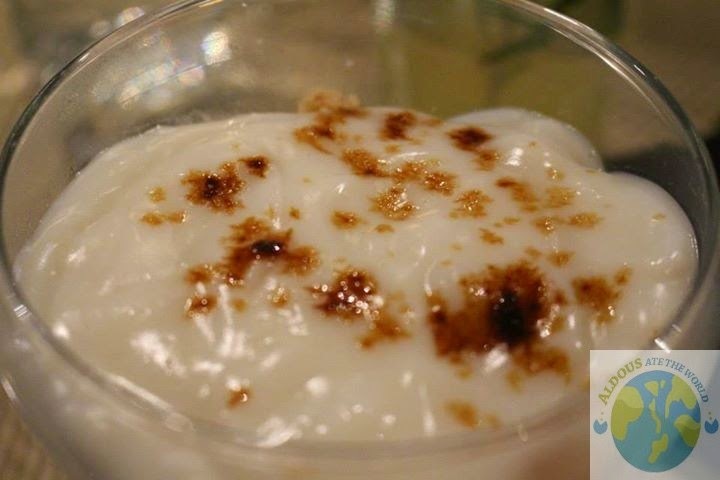 Bago pa ako pumunta sa Simple Lang ay nakita ko na ang Mango Sago (P150) sa kanilang Facebook page at sobra akong sabik masubukan siya. 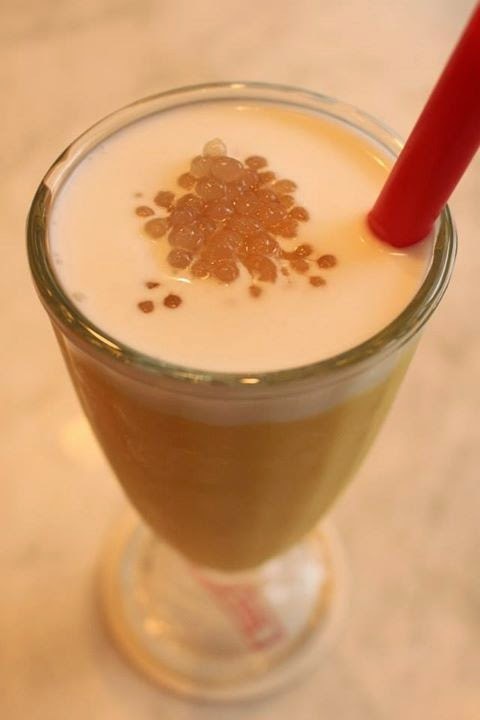 Hindi ako nadismaya sa lasa kasi gusto ko na talaga ang Mango Sago kaya tuwang tuwa ako at naging inumin din siya. 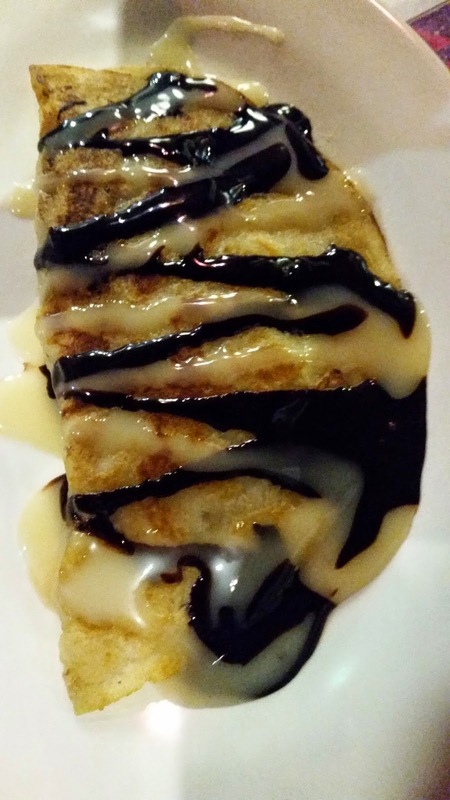 Habang ang ibang bloggers ay busog na, tumunog ang tiyan ko at medyo nagreklamo pero tumigil siya ng lumabas ang Chorizong Tortang Talong Pancake (P160). Nakakapanibago din ang maasim na itlog sa ibabaw ng talong pero sa mabuting paraan. 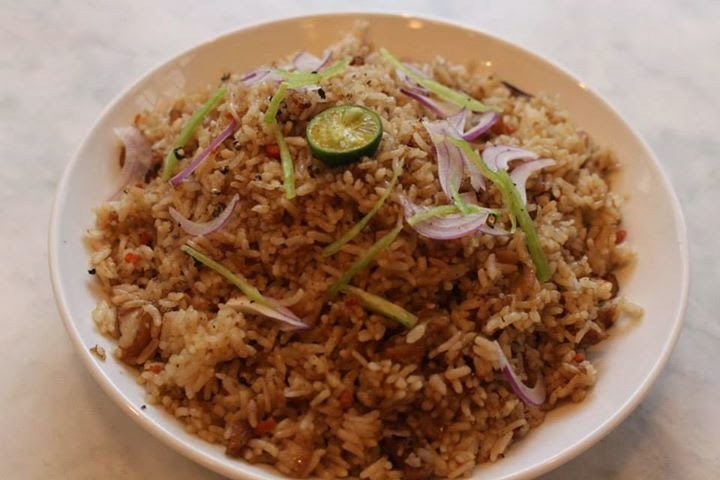 Ang Sisig Fried Rice (P180) ay isa sa konting pangkaraniwang putahe sa Simple Lang. Makikita mo din ito sa ibang mga kainan pero ang bersyon ng Simple Lang ay malinamnam. 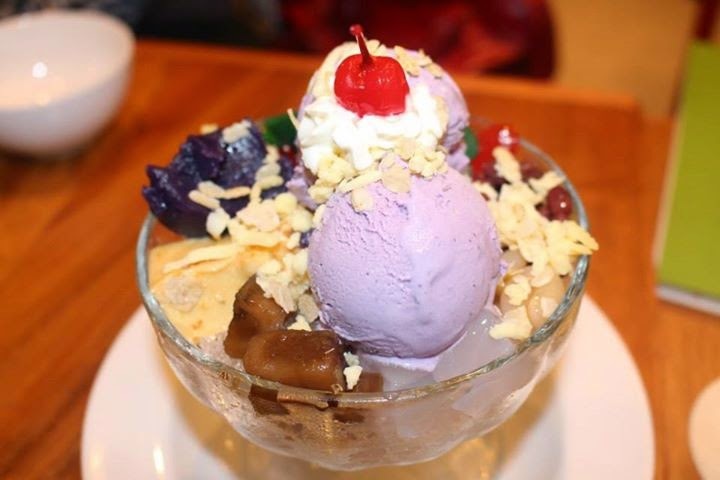 Kahit maulan ang panahon ngayon, okay pa din mag Simple Lang Halo Halo (P175). Sa bagay, kahit ano man ang panahon masarap kainin ito. Sa itsura pa lang parang gusto mo ng kaining ng isang subo. 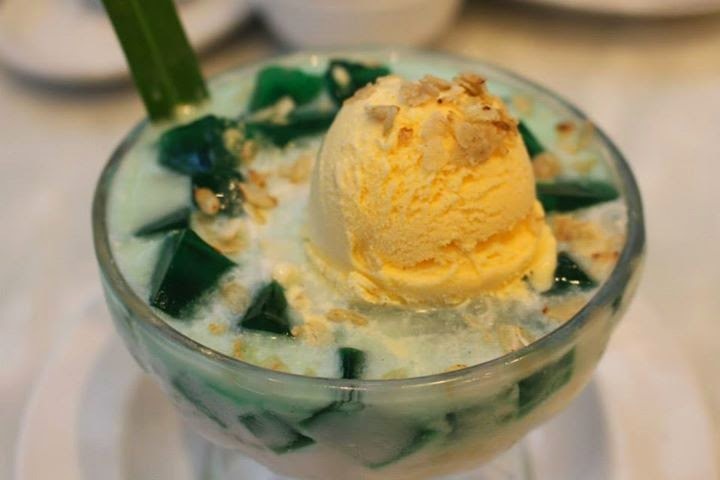 Mahileg talaga ako sa buko pandan kaya nagdiwang ako ng nilabas nila ang Buko Pandan Pinipig Crush (P150). Sigurado ako mapapamura ka sa sarap kapag natikman mo ito. 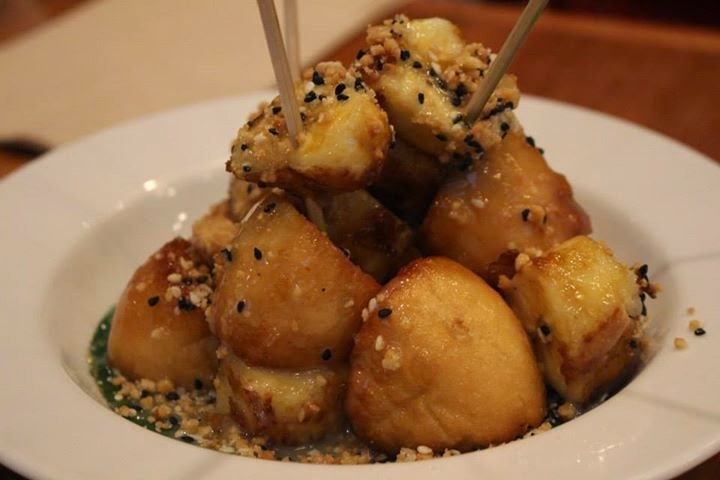 Ang Turon Bites (P95) ay isang dessert na swak na swak sa budget. Bigyan ng jacket ang kung sino man ang nakaisip nito.